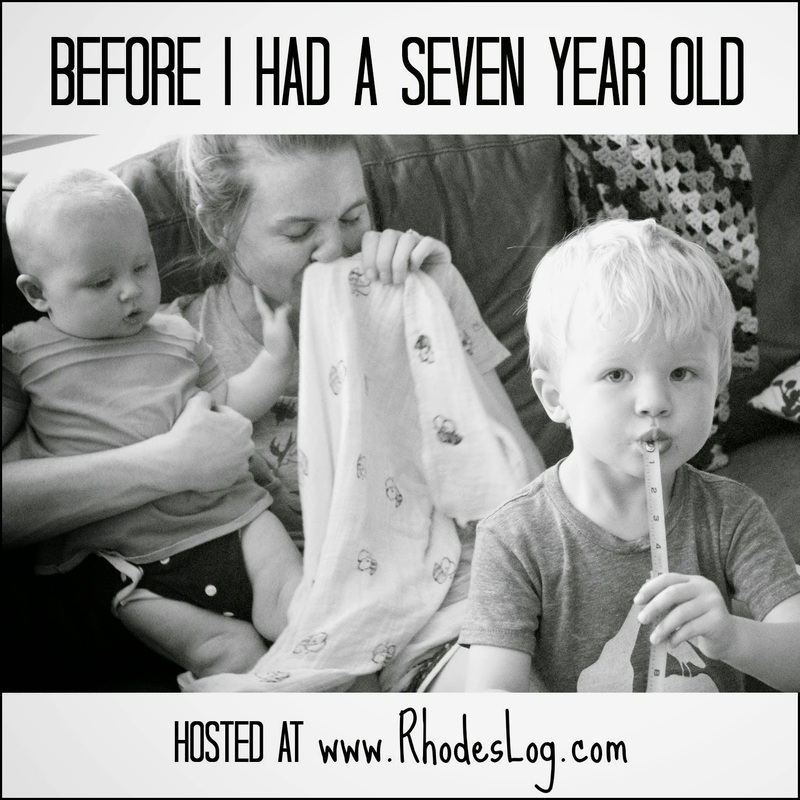 Before I Had a Seven Year Old | House Unseen. Life Unscripted. Remember a few months ago when I demanded you start reading Kate Rhodes' blog? Well, in case you forgot to click her link or didn't add her to your bloglovin' roll, here's another chance. I love Kate. I don't know how to explain it. She just....makes me feel like my heart has an extra layer of frosting on it or something. SO! She's running a series called Before I Had a Seven Year Old and was kind enough to invite me to play along. 3 months ago. And I finally responded, like, 3 days ago. Still she is patient and understanding and posted my response anyway and maybe you'd like to read it? I bet you would. Also: cute pictures of my kids. Clicky right here for a walk down parenting lane con mi. Ha! I TOTALLY get your "makes me feel like my heart has an extra layer of frosting on it or something". I big puffy heart people that make me feel extra-heart-frosted. Wait. Why are selling your house??? Labor Day Bathroom Reno - SHAZAM!